Unless we allow flows to resume, we're in danger of seeing one of the worst environmental catastrophes in Australia. 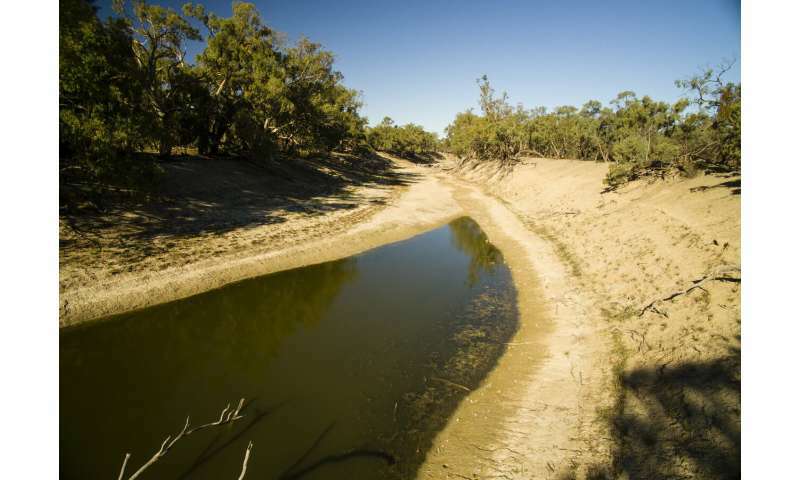 The Barwon-Darling River is a "dryland river," which means it is naturally prone to periods of extensive low flow punctuated by periods of flooding. However, the presence of certain iconic river animals within its channels tell us that a dry river bed is not normal for this system. The murray cod, dead versions of which have recently bought graziers to tears and politicians to retch, are the sentinels of permanent deep waterholes and river channels – you just don't find them in rivers that dry out regularly. We can see the effects of permanent drying around the world. 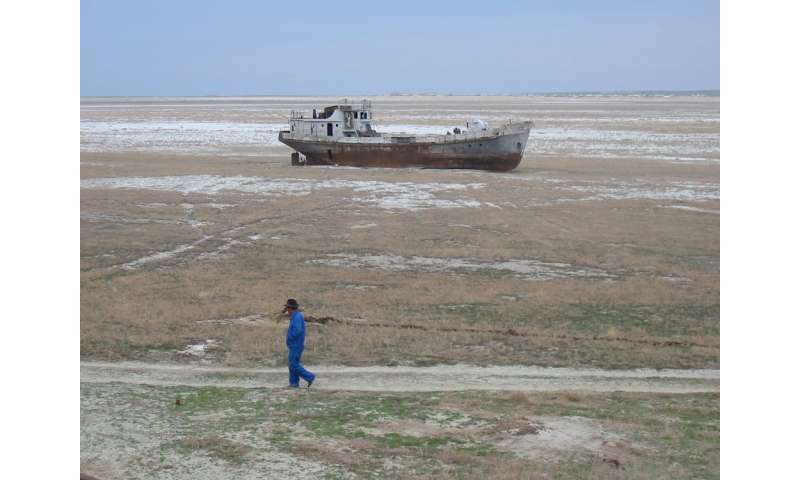 The most famous example is the drying of the Aral Sea in Central Asia. 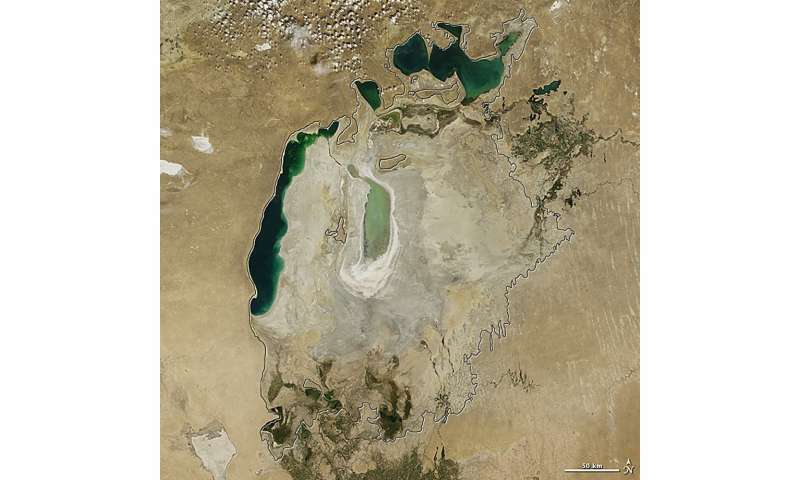 Once the world's fourth largest inland lake, it was reduced to less than 10% of its original volume after years of water extraction for irrigation. The visual results of this exploitation still shock: images of large fishing boats stranded in a sea of sand, abandoned fishing villages, and a vastly changed microclimate for the regions surrounding the now-dry seabed. Its draining has been described as "the world's worst environmental disaster." While droughts are a natural part of this system and its river animals have adapted, they can't adjust to continual high water caused in some areas by water diversions – and they certainly can't survive long-term drying. The Basin Plan has come some way in restoring some flows to the Barwon-Darling, but unless we find a way to restore more of the low and medium flows to this system we are likely witnessing Australia's worst environmental disaster. Australia -- both physically, ecologically, and culturally/politically is proving to be the canary in the coal mine.